Amplify is named for the quality that all Quartz possesses, amplification of all other crystal's properties. Herkimer Diamonds are the most powerful of all Quartz crystal, with double terminations that are believed to not only transmit their energy, but to receive, amplify and focus spiritual energy. This cuff is suitable for either ladies or guys, with a simple, sturdy copper band, hammered & polished, then antiqued and sealed with metal sealer for everyday wearing. 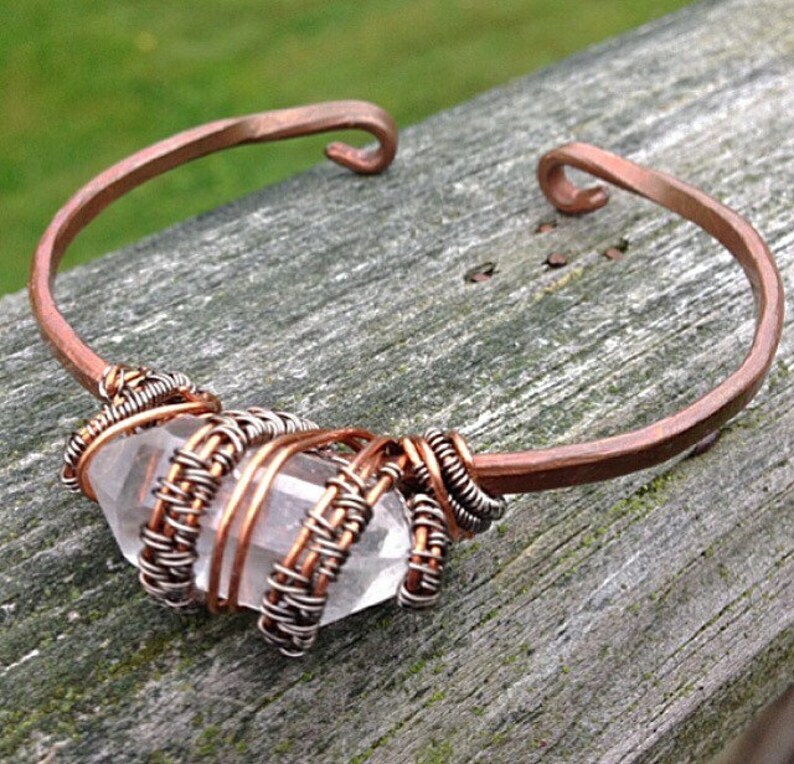 The gorgeous Herkimer Diamond is attached to the band with various wire weaves. Etsy comfortable, and looks great with jeans and flowing boho styles. An interesting little nugget, Herkimer Diamonds are said to honor the Roman Goddess of Silence, also the Goddess of the Winter Solstice, Angerona.